With the new year to look forward to, it gives you a perfect reason to add some freshness to your wardrobe with colorful accessories. And what better place then We Love Colors? Start your new year by shopping with ease online and choosing from an array of styles, patterns and colors. Make your resolution a smart one and invest in good quality We Love Colors products! 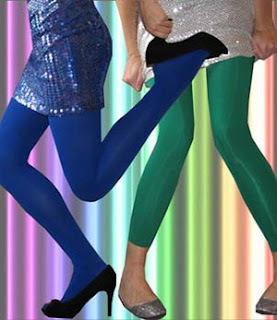 Thank you Nancy Wells for the wonderful review of colorful tights and leggings on Examiner.com!